Fish in New Zealand is wonderful. You don’t have to go to fancy places to get the best. Often you get the best from the back of a car selling alongside a reasonably busy road, or of course, a farmers market. Freshly caught, sold fresh, fried or smoked, its hard to choose! Don’t let an opportunity go by though when you hear ‘caught yesterday and smoked overnight’. I bet you, it’s going to be worth it. Last weekend, the lady who normally sells us the most beautiful Kaipara flounders, suggested maybe we try this smoked trevally. She said it was a bit unusual for them to have it, but people would specifically request it. I cannot say no to a sales pitch like that, I have to try! And oh yes, I get why people request it. It is so velvety, creamy with this lightly smoked flavour. I just added some capsicum, cottage cheese, tomato and a few pieces of pear, put it all in a wrap and made myself the most wonderful dinner. You should try it! Give me fish, especially that smoked trevally any time! 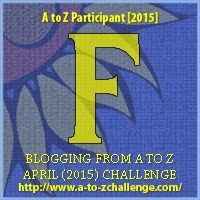 This entry was posted in A to Z challenge, kaipara, localfood and tagged a to z, fish, local food. Bookmark the permalink. Wonderful food posts! I love fish. I’ve never had those two kinds you mentioned. Around here it’s all about the salmon and the halibut… but shrimp is my favorite! Yum! 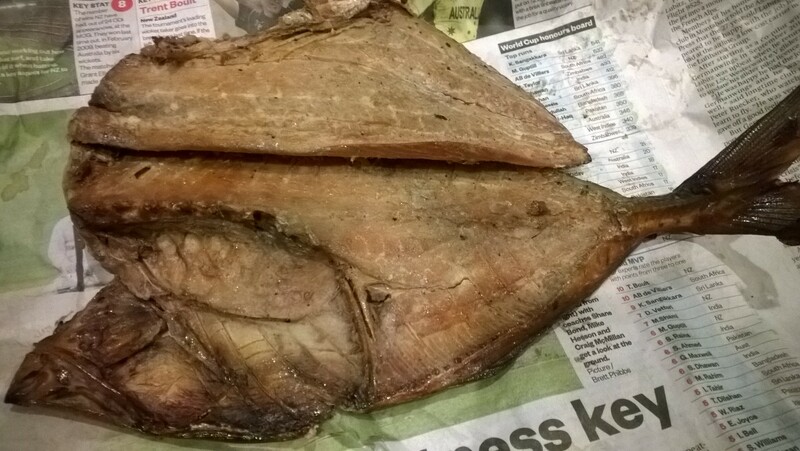 I’m willing to give smoked trevally a try. Maybe even with cottage cheese. I suppose that’s just like cream cheese with lox.